It is the day after Thanksgiving, and all through the land, people are out shopping for great deals. So, maybe this isn't the time to share a story of an infamous anniversary. It is now 40 years since the murder-suicides of the members of the People's Temple community in Guyana. Because Jim Jones and the People's Temple were affiliated with my denomination, the Christian Church (Disciples of Christ) it is an anniversary that rocks our consciences. I remember the President of my college reading a statement trying to distance the college and the denomination from the event. In the aftermath Disciple' regions began to tighten requirements for ordination and affiliation. But what about the people who died? In this Sightings essay Rebecca Moore, a religious studies professor and sister of one of the members and thus participant/victim of that event invites us to consider the humanity of the people of People's Temple and not just the tragedy of Jonestown. She notes that 40 years later there is increased scholarly interest that transcends Jonestown to the vision of Peoples Temple, what drew people together across racial/ethnic lines. Take a read and consider the questions raised by People's Temple. Ed. Note: This past Sunday was the 40th anniversary of the deaths in Jonestown, Guyana, November 18, 1978. Forty years ago my family sat down to Thanksgiving dinner not knowing whether my sisters were dead or alive. They were members of Peoples Temple, an affiliate of the Disciples of Christ denomination, and were living in Jonestown. News of mass murders and suicides had begun trickling out of their South American agricultural project since the previous weekend, following the assassination of Congressman Leo Ryan. Titled “A Witness to Tragedy and Resurrection,” the sermon was picked up by news outlets around the country. It even found its way into Jonathan Z. Smith’s book, Imagining Religion, in the chapter on “The Devil in Mr. Jones.” The historian of religion viewed the sermon’s “recognition of the ordinary humanness of the participants in Jonestown’s White Night” as the starting point for interpreting the events. Few followed Smith’s lead in examining the humanity of the Jonestown victims, although David Chidester did take up Smith’s challenge to humanize the dead. Stanley Hauerwas also argued that it was important to honor and respect the willingness of people to take their own lives for a cause they believed in. At the same time, the ethicist quickly condemned as demonic both their act of suicide and the beliefs that justified that act. 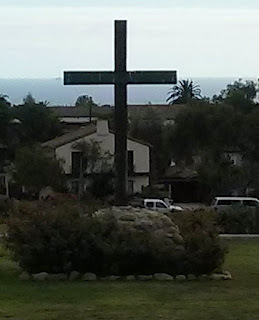 Meanwhile, scholarly investigations tended to break into two camps—the psychologists and social workers concentrating on individual and group dynamics, and the sociologists and historians explaining why some new religions erupt into violence. In other words, there seems to be little consensus in identifying the significance of Jonestown within the narrow field of religious studies and the broader landscape of religion in America. I have argued that it is an anomaly, incomparable to other religious events. Others take the exact opposite position and consider Peoples Temple to be the paradigm of the destructive cult, with Jonestown the inevitable fate awaiting all members of new religious movements. Despite the barrage of media coverage this season, Jonestown has pretty much fallen off the scholarly radar, with one notable exception. A new generation of scholars has discovered Peoples Temple and, lacking historical memory of Jonestown, has brought new interest and insight to the subject. 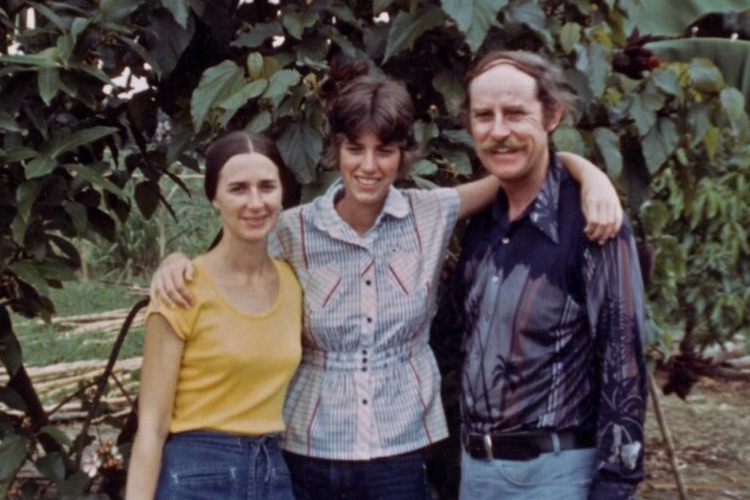 These young adults have shifted the focus from Jonestown to Peoples Temple; that is, from the end itself to the movement that preceded the end. Indeed, the current issue of Nova Religio is devoted to this reframing project. Forty years ago my family did not have the luxury of dismissing the dead as crazy cultists. We had to decide that very first week what our response was going to be. Would we talk about the people we knew and loved? Would we tell the truth about my sister Carolyn’s relationship with Jim Jones, the leader of the Temple, and the child she had with him? We made our decision without knowing the full extent of the truth. Over the years, the stories of my sisters’ involvement became more devastating, such as their complicity in planning the “final stand.” Today, the deaths in Jonestown remain as dreadful as ever, with the nature of “what happened” bitterly contested. That Thanksgiving day so long ago we decided that our task was to humanize those who lived and died in Jonestown. Their complicated-and-yet-still-tragic deaths did not represent the full measure of their lives. So we talked about the people of Peoples Temple, rather than about the Jones of Jonestown. Our decision to speak and not be silent required us to learn as much as we could about the people who died and the movement they built. This quest produced numerous books and articles. It led to three Freedom of Information Act lawsuits against the government. And twenty years ago, it prompted us to create a website called “Alternative Considerations of Jonestown and Peoples Temple,” which tells the story of the Temple in its own words, and in the words of former members and survivors. Despite our commitment to preserving the historical record, we came to see Jonestown as a religious, rather than simply as a historical event, at least in terms of assessing its importance. A number of writers from outside the academy have contributed to this shift in our perspective. I’m thinking of the work of Muhammed Isaiah Kenyatta, and of J. Alfred Smith; of Archie Smith, Jr., and Richard Lawrence. These African American pastors (and scholar in the case of Dr. Archie Smith Jr.) have expanded our understanding of the complicated dimensions of the movement and its denouement. The white theologian Jeff Hood has also examined Peoples Temple, Jim Jones, and Jonestown apart from the confines of traditional scholarship. Dr. Hood’s oft-provocative commentaries humanize all those present in Peoples Temple, including Jim Jones, the “monster” of recent television documentaries. In addition, the examination of Peoples Temple should not be limited to its expression as a religious group. Its self-described revolutionary socialism makes it ripe for consideration along with other radical political and social movements of the era, ranging from the Symbionese Liberation Army to the Black Panther Party. By enlarging analytical boundaries, our knowledge of the movement could grow. I want to make it clear that I am not suggesting that religion, or religious events, are impervious to examination. As an academic I do not accept that proposition at all. But as someone who has studied Peoples Temple and Jonestown as an insider and as an outsider, I have come to the conclusion that some sort of existential mystery continues to surround the Jonestown event—the mystery of suffering, better addressed in the pew or the temple than in the university. Author, Rebecca Moore, is Emerita Professor of Religious Studies at San Diego State University. 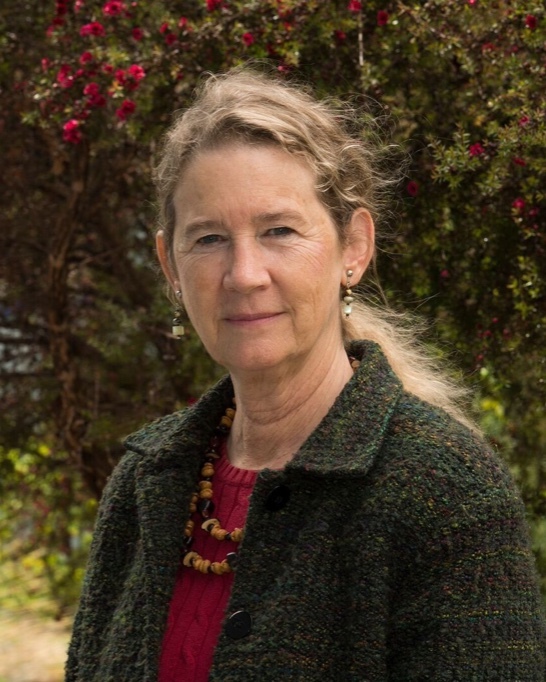 She is the author of Understanding Jonestown and Peoples Temple, and currently the Reviews Editor for Nova Religio, the quarterly journal on new and emergent religions published by University of California Press.